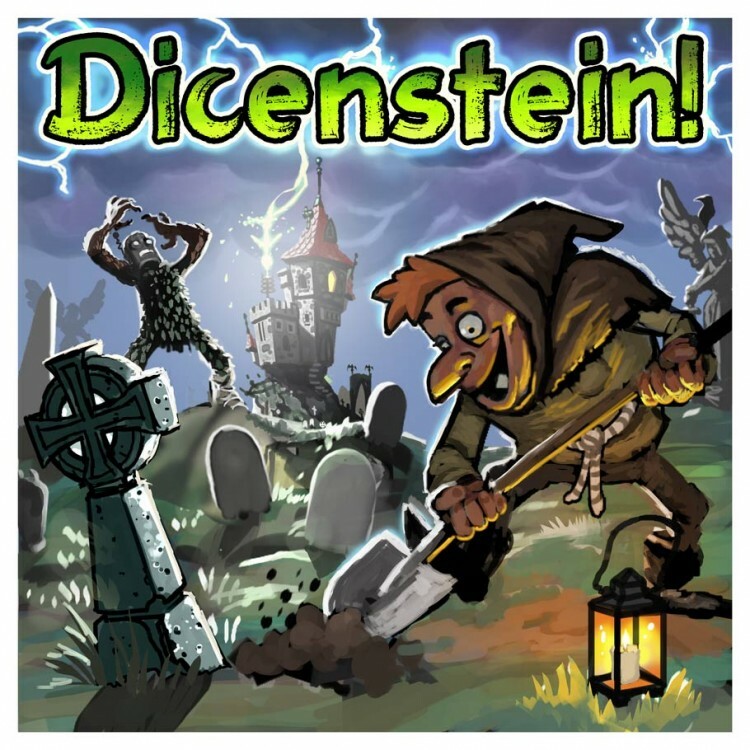 In Dicenstein you are a mad doctor, collecting and stitching together body parts to build monsters. But the body parts aren't just condemned criminals or disease victims - you are after the best! You are digging up the world's most infamous monsters, and piecing them together for your Ultimate Creation!! Each six sided monster die has faces showing hed, body, claw or foot. Whe rolling your monster, you physically place the dice together to create your current monster. Using an enormous monster meeple (76mm tall!) you'll send your monster forth to battle your rival's monsters and fight for the best body parts, meanwhile building your Monster Army to terrorize the countryside. May the best (or worst) monster win!